Today in smart decisions that actors make, Matthew McConaughey, long known for going big or going home (to play shirtless bongos) lost close to 50 damn pounds to play a dying AIDS patient in his new film Dallas Buyers Club. 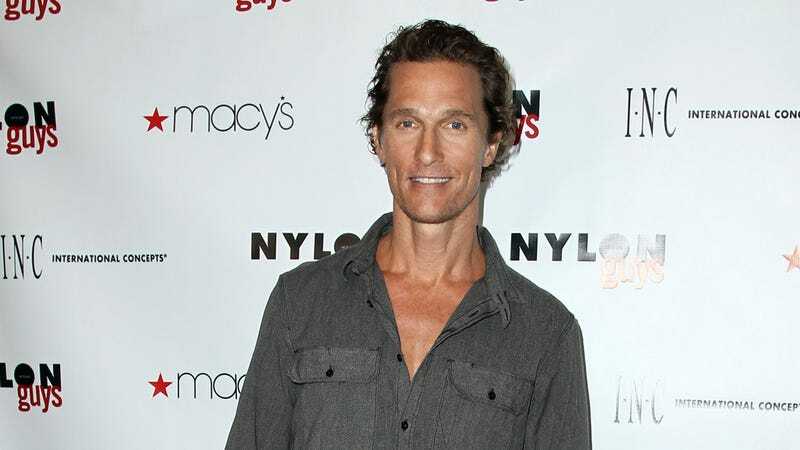 Weight wasn't the only thing McConaughey lost — apparently his vision started to go out, too. Mariah Carey is leaving American Idol because it's a sinking ship and also because she's launching a world tour. Bon Jovi reduced ticket prices in Spain because of the financial crisis and also because he's awesome. "We did a study and we saw that due to the economic situation Spain wasn't going to be on the roadmap. But I didn't want to leave out fans from a country I love that has treated me well for 30 years," he said.